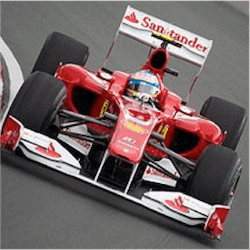 Australian Formula 1 fans have more great motorsport lined up this Sunday, with the 2017 Monaco Grand Prix set to roar through the tunnels, hairpin turns and switchback hills of the principality’s iconic street circuit. 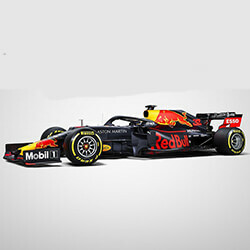 A race that predates Formula 1 itself, the Monaco Grand Prix sees its 75th edition this year, and it couldn’t come at a better time for those wagering on the 2017 championships. After the first five races of the season, Sebastian Vettel and Lewis Hamilton have two wins each. 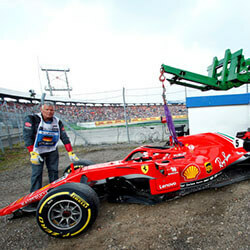 However, Vettel has been second in the other three grands prix, while Hamilton has just two seconds and a fourth; the latter at the Russian Grand Prix in Sochi. So Vettel is ahead of the Briton in the 2017 driver’s championship by 104 points to 98. 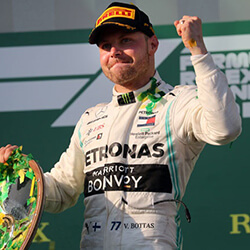 However, Hamilton’s Mercedes teammate, Valtteri Bottas, is the third 2017 grand prix winner to date, after taking his maiden Formula 1 victory in Sochi. Before that, he had finished third in Australia and Bahrain, and sixth in China. 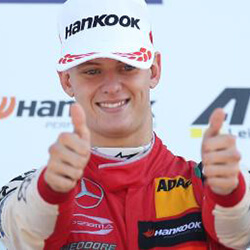 In the Spanish Grand Prix, engine trouble forced him to retire in the 38th lap. On the other hand, Ferrari’s Kimi Raikkonen, teammate to Vettel, has only finished fourth, fifth, fourth and third this year, and then did not finish in Barcelona either. As a result, Mercedes leads Ferrari by 161 points to 153 in the 2017 constructors’ championship. Come Sunday, Hamilton will be racing to unseat his German rival at the top of the drivers’ ladder, while Vettel and Raikkonen do their utmost to put the Scuderia into the constructors’ top spot. Meanwhile, the motorsport fraternity is still arguing about Jenson Button replacing Fernando Alonso in the McLaren team for Monaco, so that Alonso can go race in the Indy 500. Whether Button, back in the cockpit just six months after he officially retired from Formula 1, will be ready for the race after missing McLaren testing in Bahrain last month, remains to be seen. The only driving practice the 2009 Monaco and World Champion has been getting in the past six months is in the McLaren simulator. While he says he’s confident that will be enough, and that he’s excited for Monaco, some think he’s underestimating the challenges of the narrow, twisting street circuit, which is not nearly as forgiving as the simulator.